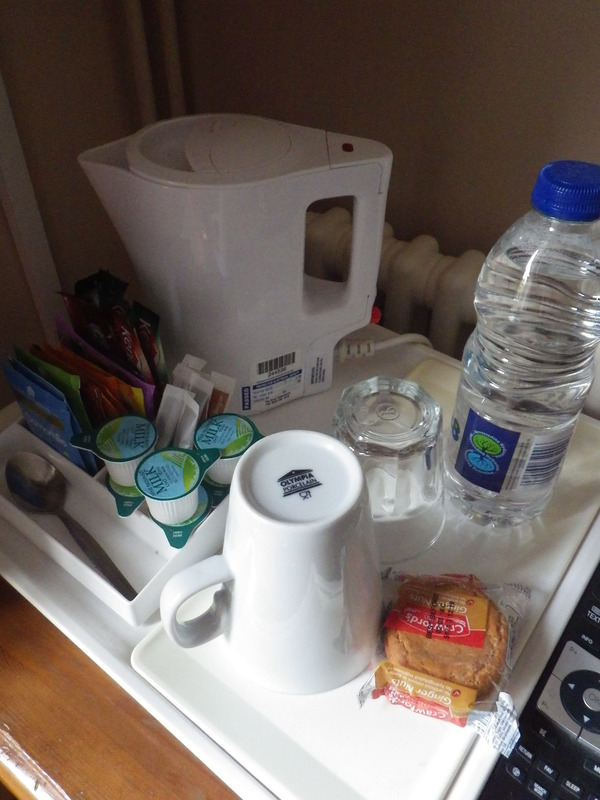 Whilst I was away I stayed in a hotel with tea and coffee-making facilities in the room. 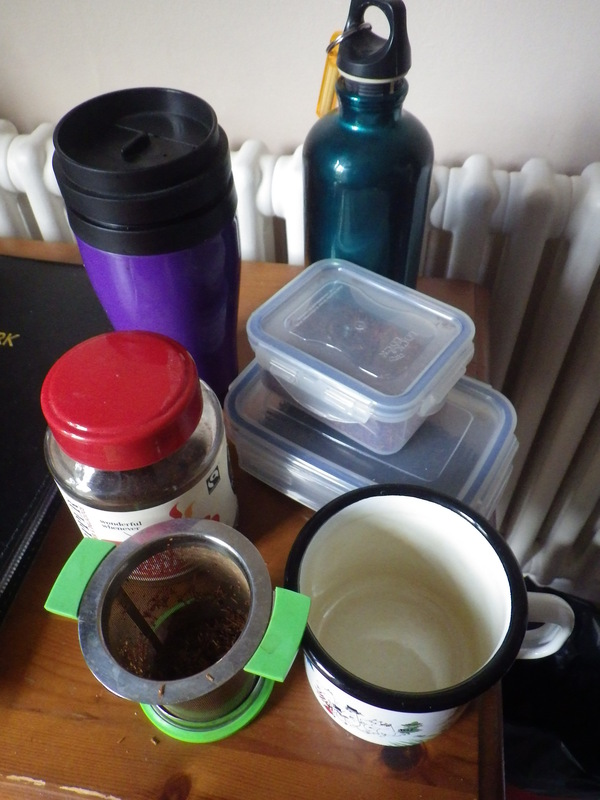 I knew this was going to be the case, so I went prepared… happy to use the kettle, but eschewing the teeny packs of instant coffee and various tea bags, not to mention the bottled water. Since I don’t take milk in any of my drinks, there were no issues with storing dairy. And so, on my trip I managed not to use any disposable cups, tea bags, water from plastic bottles or teeny tiny packages. It’s a small amount of packaging to avoid but every little helps and, in addition, all my drinks were to my taste. My trip coincided with Zero Waste Week, so it was good to feel that in circumstances where I might have been seduced into producing more waste than usual, I did not, all with very little effort and just a bit of planning.